Prince Philip and I were shocked to hear news of the severe earthquakes that struck on Monday. I send my condolences to the families of those who were killed and to the people whose homes and businesses have been affected. 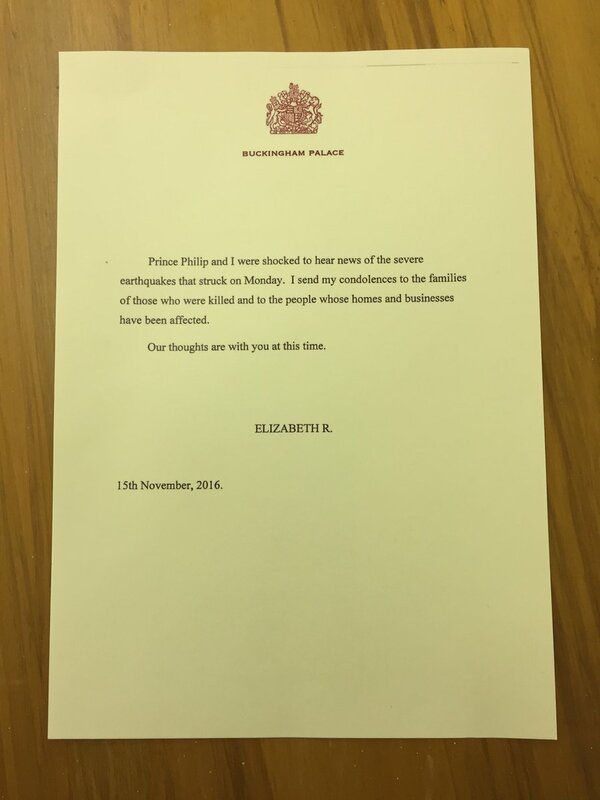 A message from Her Majesty Queen Elizabeth. 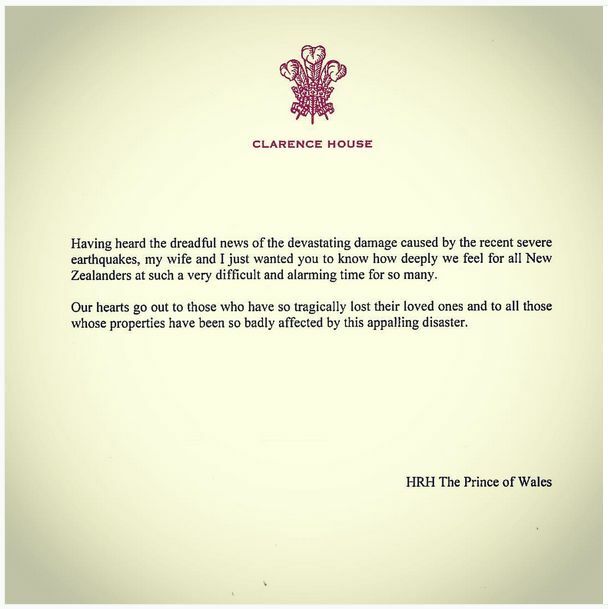 A message from HRH The Prince of Wales sent to Dame Patsy Reddy following this week's North Canterbury earthquake. "This morning I received a phone call from King Willem-Alexander of the Netherlands expressing concern and heartfelt condolences on behalf of himself and Queen Maxima to all New Zealanders who have been affected by the earthquakes centred in the Kaikoura and Hanmer Springs area. "Their Majesties visited Government House last week for an Official Welcome and a State Dinner, before flying to Christchurch where they toured the areas under reconstruction from the 2010 and 2011 earthquakes. They also met earthquake survivors and heard about the physical and emotional impact the earthquakes have had on their lives. As a consequence of their recent trip and experiences, His Majesty said they both felt very connected to the suffering of those impacted by the recent quakes and asked that I forward to them their very best wishes and sympathy."